Safe Swimming (July / August). Deckchairs available. Rail Bike near Saint Jean de Monts: Discover a picturesque and fun transportation. It is suitable for the whole family, this is the bike-rail Commequiers (located between Challans and Saint Gilles Croix de Vie). 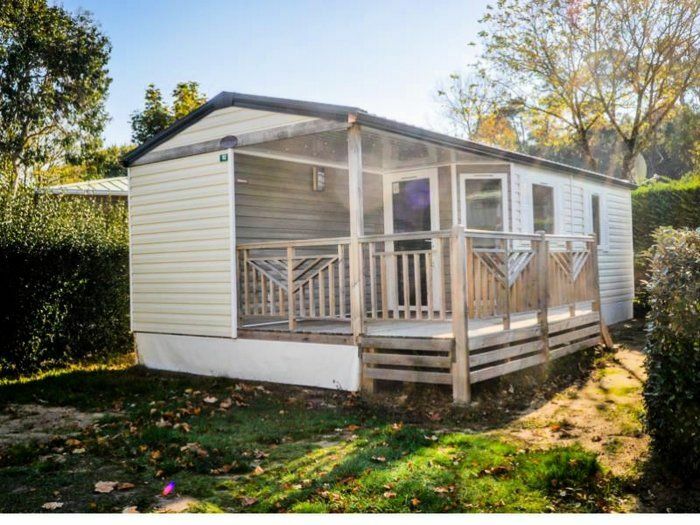 Mobile Home 2 Rooms 2 Persons about 30m ² composed of a sitting area, a bedroom with 1 double bed, a kitchen corner, a bathroom with shower and toilet. Terrace. The Mobile Home includes a kitchenette equipped with refrigerator, stove, microwave, coffee maker and dishes suitable for number of persons in housing.